If you’re gearing up for your first visit to Dollywood, you already know to get ready for one of the best days ever. But how can you be sure that you won’t miss any of the best attractions, activities, or events? 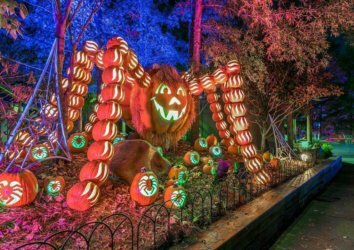 Follow this guide to plan your first trip to Dollywood, and make sure you don’t miss a thing at this family-friendly amusement park. Lines for tickets can be long, so you’ll definitely want to pick yours up before you arrive. If you want to pack in tons of fun, consider getting a TimeSaver Pass, too. This helps you skip the line at select rides and shows, so you don’t have to waste time in line. The TimeSaver is especially helpful if you’re planning to go on a weekend or busy summer day. These TimeSaver passes, which cost $39 per person per day, allow you to skip the general admission to the ride and use an expedited ride entrance. During peak visit periods, a TimeSaver pass will result in double (or more!) the rides. For those staying at the Dreammore Dollywood Resort, the TimeSaver is free of charge. If you have a big group, this valuable perk should factor into your lodging decision! It’s easy to avoid the drive to Dollywood and the steep parking fees when you take the trolley. Just hop on the Pigeon Forge Trolley anywhere along the parkway, and you’ll be at Dollywood in minutes. The trolley costs $1 per person, which means you’ll probably save money and avoid the madness of finding a spot in the crowded parking lot. 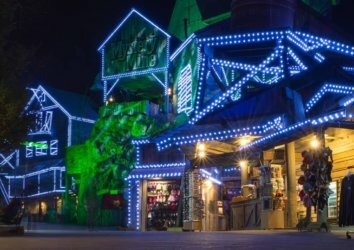 If you are staying at Dreammore Dollywood Resort or are a Season Pass holder, make sure to take advantage of the super-short lines during early Saturday entry. Each Saturday, a popular ride or area of the park will be open one hour before normal opening. 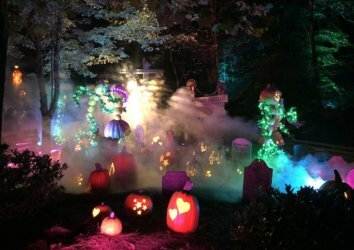 To fit in as much fun as possible at Dollywood, you’re going to want to get familiar with the layout before you arrive. 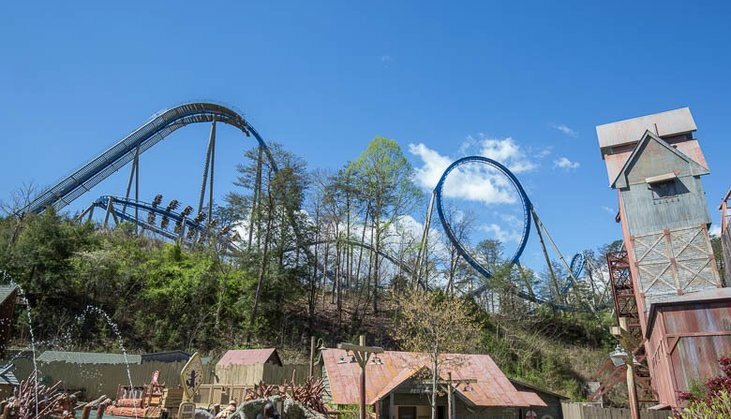 After all, Dollywood is huge, and it’s easy to spend several hours in one section of the park without realizing that you still have much more to explore. Before your trip, talk with your group about what they want to see, and try to divide up your time accordingly. Remember to plan water rides for late afternoon, or you could have soaking wet kiddos on your hands for the rest of the day. Before the big day, take a minute to download the Dollywood app. Not only does this smartphone app have helpful park maps and digital tickets and passes, but it also features the current show schedule. The app also tells you real-time ride wait times, so you can adjust your schedule as necessary. 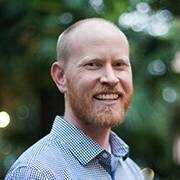 Why wait 30 minutes for the closest ride when other nearby rides have five-minute wait times? As much fun as it is riding the rides and exploring the park, your group will undoubtedly want to take a break and catch their breath at some point during the day. Fortunately, Dollywood has plenty of entertainment options, where you can sit back, relax, and enjoy the show. Check the show schedule to find out when you can catch gospel singers, Dolly Parton’s “Heartsong” film, or other roving performers. Dollywood is always fun, but it’s even more exciting when there’s an event happening at the park. Why not plan your visit around one of the five main festivals and enjoy incredible music, culture, and food? 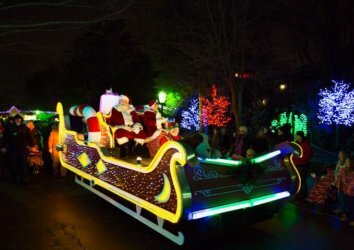 Check out Festival of Nations in early spring, Barbecue and Bluegrass in late spring, Great American Summer in July, National Southern Gospel and Harvest Celebration in October, and Smoky Mountain Christmas in November and December. 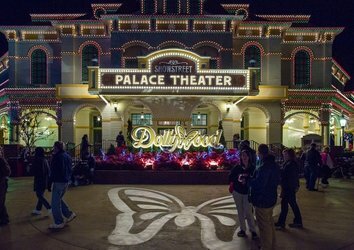 With rides and shows, lodging and food, and a whole range of special events, Dollywood has it all. Start planning your trip to Dollywood and get ready for an unforgettable vacation to the Smokies.